Aawaaj has its geographical reach in the Mid western region of Nepal. Currently Aawaaj has its office in Birendra Nagar municipality, Surkhet district and have a contact office in Kathmandu district. Currently we are working in Surkhet, Dailekh and Bardiya, district of Midwestern region. With its direct community interventions in Badrdiya, Surkhet and Dailekh districts, where Community support mechanism (CSM) groups are active and in regular contact with Aawaaj. 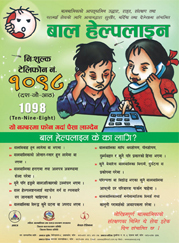 Aawaaj also has its networks of “We Can” Listeners clubs against violence of women and children in 23 districts of Mid and Far western region in Nepal through media campaign which are ; Surkhet, Rukum, Kailali, Salyan, Dailekh, Bardia, Jajarkot, Kalikot, Accham, Dhankuta, Kanchanpur, Argakhachi, Dang, Humla, Darchula, Bajura, Dolpa, Dadeldhura, Baitadhi, Mugu, Rolpa, Pyuthan and Gulmi districts. We see different forms of violence from Mid and Far Western region and provided minimum standard supports for the victims of violence. With its intriguing nature of the projects in operation, Aawaaj will always look forward to extend and expand its work in other communities and areas where there are these issues that are increasing.